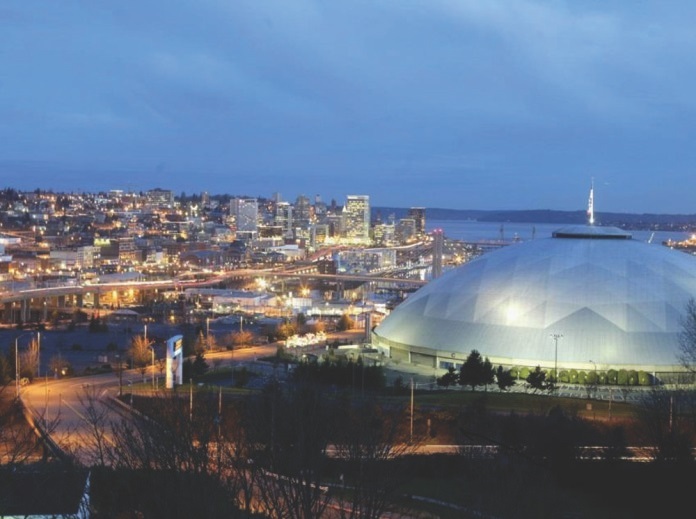 City of Tacoma’s vision for a vibrant entertainment district built around the Tacoma Dome has attracted the interest of a potential developer. TopGolf USA, a Delaware-based developer of high-end, state-of-the-art, experiential golf entertainment venues, submitted a proposal on May 8 to the City addressing its plan for the 10.6-acre city-owned site located to the east of the Dome. Topgolf proposes a three-story driving range, featuring more than 170 tables highlighted by a full-service restaurant and bar, and full-service food and beverage atop a rooftop terrace. The estimated project is in excess of $30 million. Topgolf executives expect the venue would attract more than 500,000 visitors annually and generate to the city and the region a residual financial impact of $264.5 million over a 10-year period.